Hello and happy Friday! This week over at the CAS-ual Fridays Challenge blog we are playing with colour. The challenge is to use the colours Coral, Aqua and Grey on your card. I stamped some flowers and leaves from the Pretty Posies set and white heat embossed them. I coloured them with a combination of Zig markers and die cut them using the co-ordinating Posies die set. I stamped several of the leaves straight onto my card base with Memento London Fog and arranged the die cuts over the top. My sentiment is stamped in the same London Fog ink with a sentiment from the Pretty Posies set. 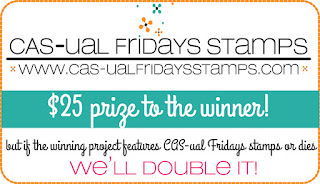 If you would like the chance to win a $25 voucher to the CAS-ual Fridays shop, all you have to do is make a card using these three colours and link it up on the challenge blog here. 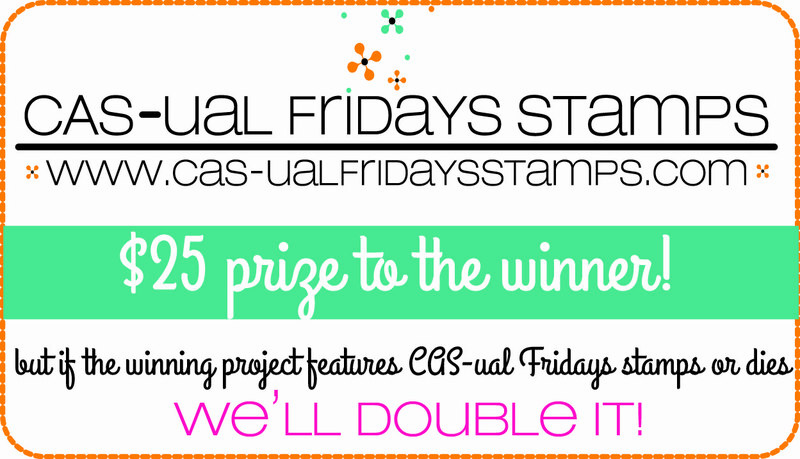 Michele will double the prize to $50 if you use CAS-ual Fridays stamps as the main focus of your card! This card is beautifully balanced. Lovely.